Enclosures containing wireless cameras and back haul transmitters are ideally deployed in pole mount configuration which provides height for surveillance, optimum rf path, and theft protection. Parking lot and street light poles are preferred mounting locations where AC power present in the light fixture, but unfortunately only available at night as the lights are controlled by a photocell so there is no voltage to the fixture during daylight hours. Therefore the DC power system must be configured to store adequate energy at night for use by the system during the day when AC is off. It’s like a solar application where there is only a certain amount of time to collect an entire day’s worth of power to charge the battery, thus a DC ups system must be devised to achieve 24 x7 operation. 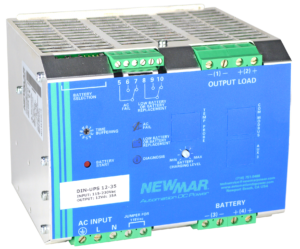 The solution utilizes a Newmar DIN Rail mount DC UPS, with gel batteries in an enclosure. 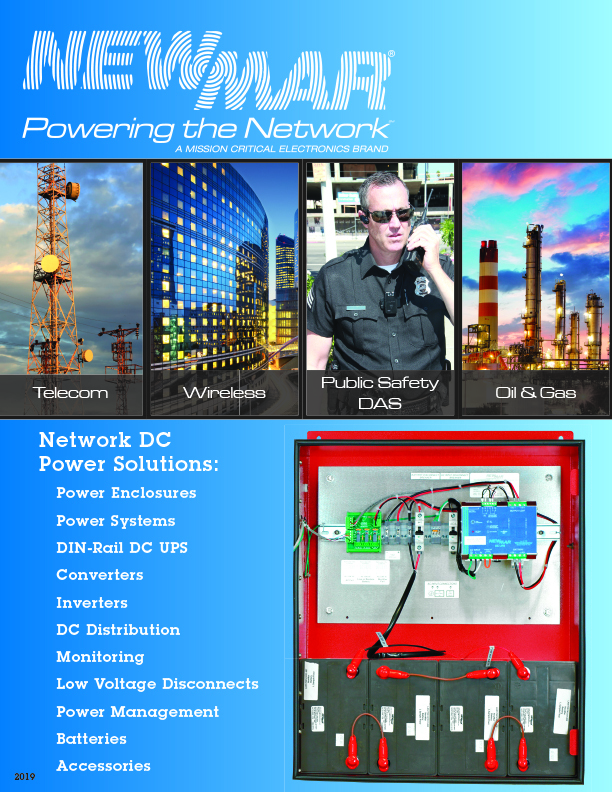 The DIN-UPS present an all-in-one (power supply, battery charger, and monitoring system) solution. It has a unique load priority circuit providing power to the wireless equipment whenever AC is available, with the remainder of the power allocated to battery charging. Designed for extreme temperature environments and quickly configured via the din rail mount, the units are available in 12, 24 and 48 volt, 10 amps. Pole mount enclosure power system design requires energy production/consumption calculations, taking into account the minimum duration when AC will be available. Contact Newmar with your specifications and we would be happy to configure a DIN UPS, battery and enclosure system proposal. 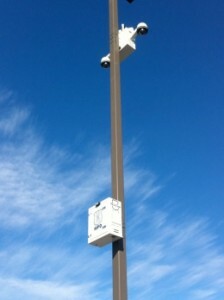 I am interested in the DC UPS system for wireless cameras, antenna and network switch on a pole. Can you assist?